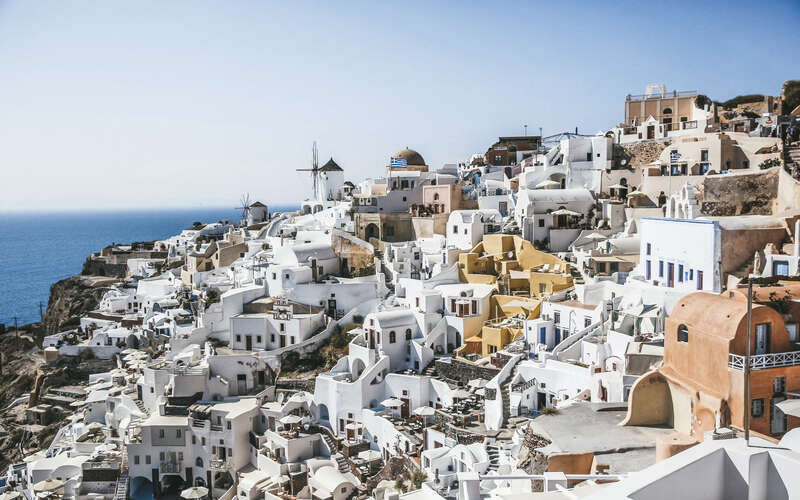 The island of never-ending white..
We’re not sure if it’s the beauty of the never-ending white facades, the jaw-dropping caldera views, or purely just the sunset cocktails making our mind think nothing more than spending a Euro Summer in Santorini. One thing is for sure, Santorini has everyone hooked! Yes.. it is in-undated with tourists and come June/July you will know exactly what we are referring to, but you know what.. we now know why! Santorini’s beauty is addictive! 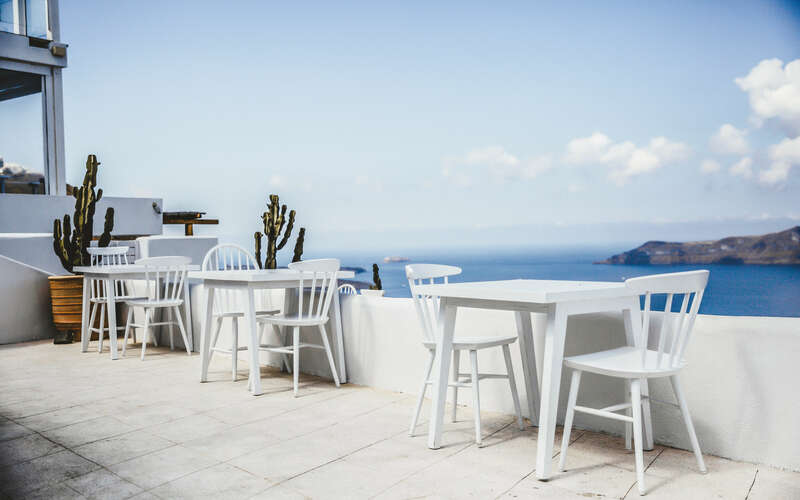 Whether you are wanting to sit back, relax and purely just soak up the rays, or you’re one for exploring, Santorini offers something for everyone.. did we mention it’s a minimalists paradise?! If you’re lucky enough to be making your way to the island of white this Euro Summer, make sure to take note below.. It will undoubtably be the highlight of your trip. The Caldera of Santorini is best experienced up close via an unforgettable sailing experience around the island. You get to take in the Santorini views via a different angle, and take in the sea of white from off-shore. Tip – make sure to pack your bathers! You’ll have multiple opportunities to take a dip in the Aegean Sea and bask in the sun on the boat deck! If you haven’t seen images of this attraction, we’re not sure what planet you’re on! The Three Blue Domes would have to be one of the most instagrammable sights on the island of Santorini and you can see why! Set amongst the jaw-dropping Caldera, this picturesque sight is worth the searching.. Tip – don’t go during peak times to avoid the massive crowds. We suggest before 7am, otherwise you’ll be waiting in line for a shot! A truely magical sight. Sunsets have never looked better, or more romantic! This sight is definitely worth the trek to the end of the island, even if you have to dodge through the crowd to get there! 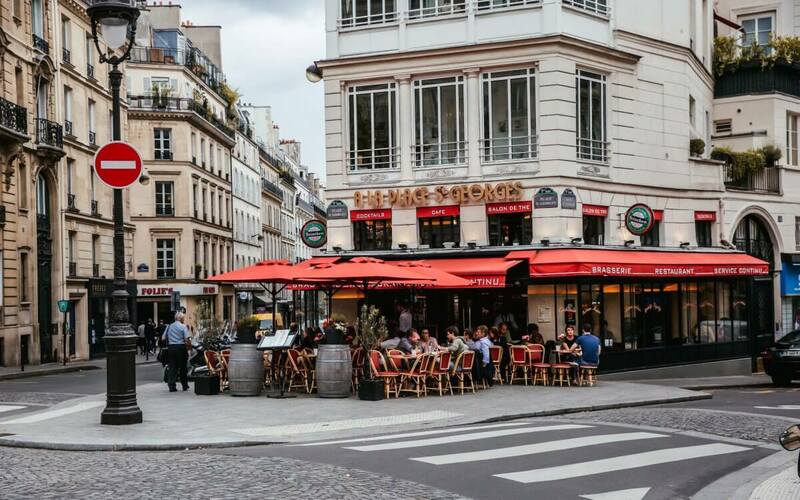 Tip – a couple of small cafes are located around this area. We suggest getting in early and setting yourself up with a few cheeky drinks beforehand. You’ll have the best seat in the house! 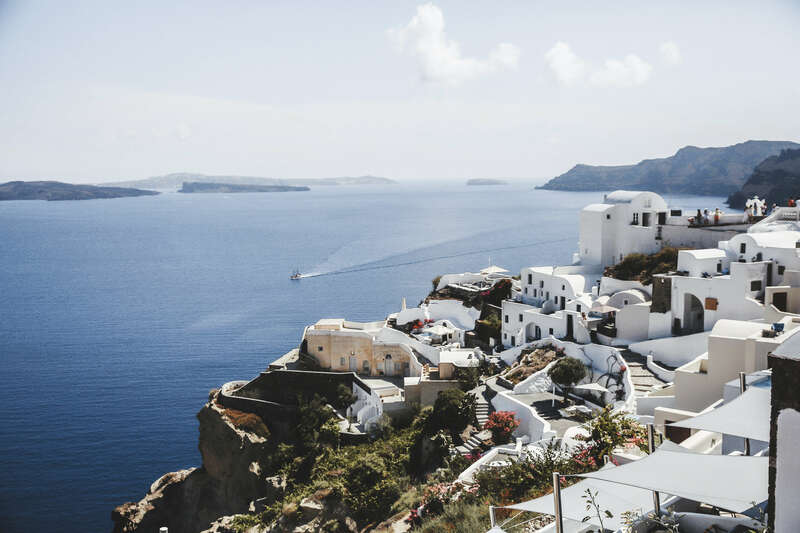 Whether you are wanting to explore the villages of Fira or Oia, it is definitely worth having a wander around the local shops! From artwork to jewellery, and a few boutique clothing stores thrown in too.. you’ll find yourself getting lost in the white-washed, paved paths of this beautiful island. Tip – make a visit to Soho-Soho in Oia. A Fashionistas dream – think Dior, Alexander Wang and Givenchy! 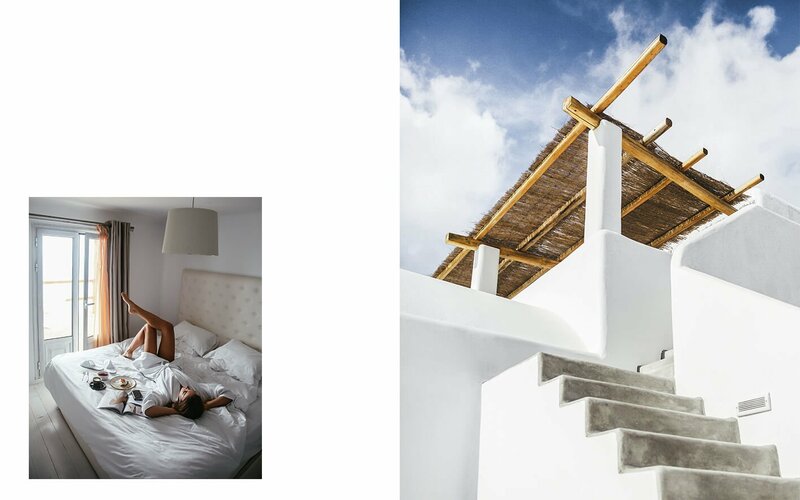 Located on the highest point of the island, this picture-worthy hotel provides not on the best views of the island, but potentially the best wedding venue too (or so it seems with their endless booked-out wedding dates!). Tip – a picture sitting on the ledge of the infinity pool is necessary! Quite possibly the ‘pick of the bunch’ when searching for Santorini accomodation. One walk past this luxe resort and you can see why.. (the price also gives a slight indication!). 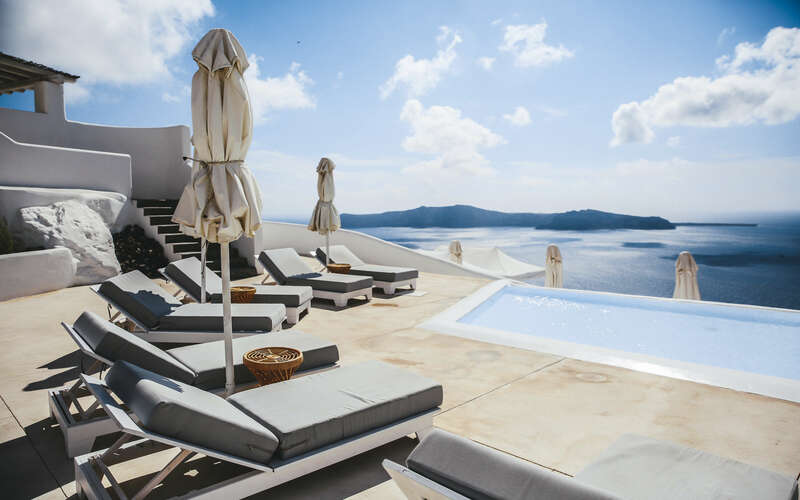 Spread over multiple levels, Grace Santorini provides a picturesque outdoor area, with a lengthy infinity pool you’ll never want to leave! Tip – if you’re wanting to lash out, upgrade to a Grace Suite, which provides not only one plunge pool, but two! Inside and out! If you’re wanting to stay in the more lively area of the island, Volcano View is a short shuttle (complimentary service by the hotel) to Fira town centre. If you’re looking to purely stay around the pool, this place provides it all, with an extensive outdoor area and multiple pools to choose from. Tip – If you’re not wanting to make the trek to sunset point, don’t worry as the sunset from the hotel is beyond breath-taking! All you need is a table booed at their restaurant, and a few spritz lined up! Bliss! A wine lovers heaven! Not only does it offer an amazing wine list, you’ll also come across a VERY well curated collection of cocktails based on your favourite flavours.. you’ll spend hours here, trust us! Tip – You NEED to make your way around the cocktail list! So be ready for a lonnnng night! Set among a beautiful space overlooking the caldera, the food on offer is out of this world. Think fresh, Mediterranean seafood! 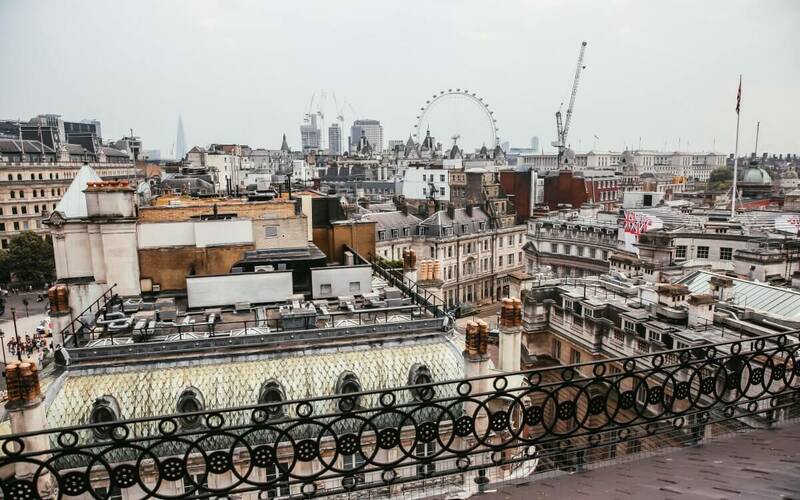 Tip – Book well in advance to ensure you’re spot on the rooftop. The must-visit bar of the trip! 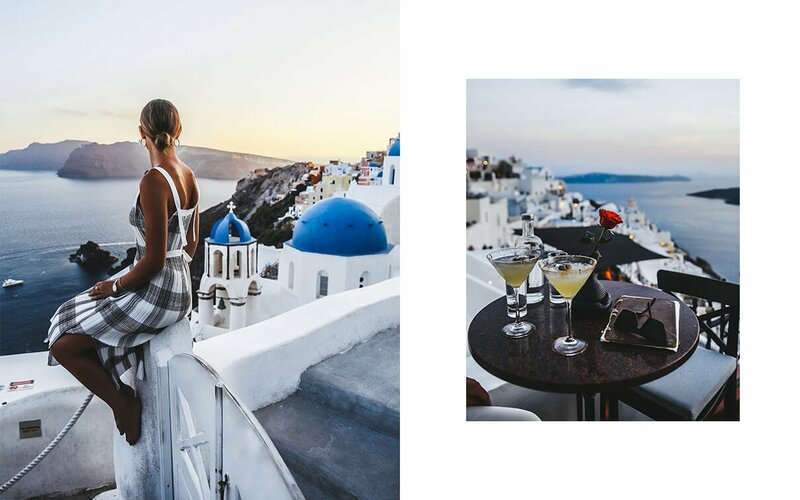 Situated in Fira, this stunner offers insane views at sunset, and even more insane cocktails. This needs to be ticked off the list during your next visit! Tip – Get an early bite to eat before visiting, because once you are set-up at PK you won’t be leaving anytime soon! Situated at Rocabella Santorini, you’ll experience insane views whilst being wined and dined 5 star style. Make sure to take a wander around the resort after dinner. 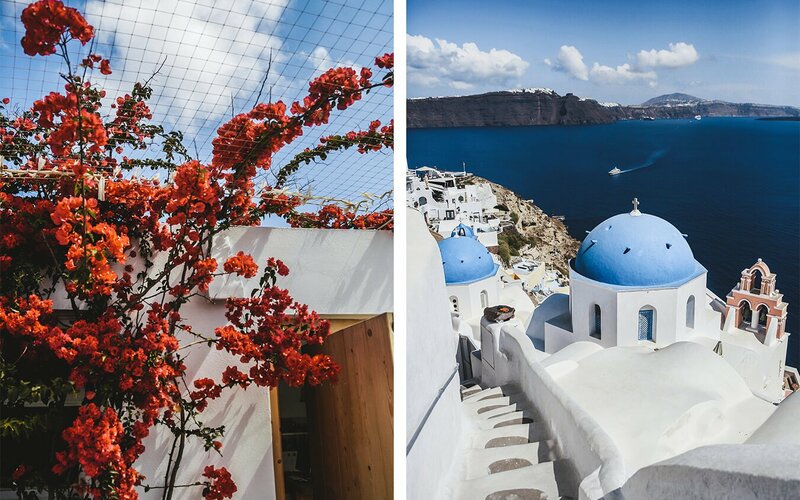 It will make you want to book your next holiday back to Santorini asap! Tip – Don’t skip dessert! You’ll regret it! The city that knows how to do insane interiors and even better rooftop bars..
A serene one-bedroom boutique apartment with serious European vibes.. Au revoir Paris.. but not for long!